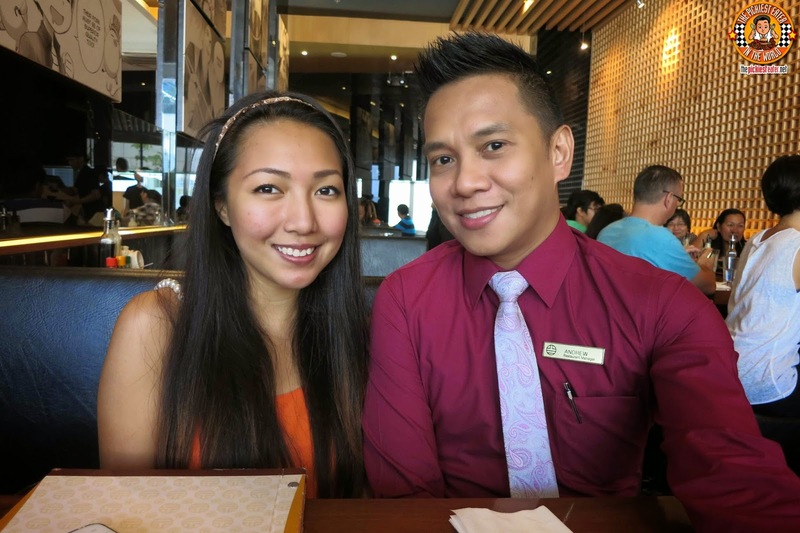 THE PICKIEST EATER IN THE WORLD: YABU'S MENCHI KATSU WITH BABE FOR FOOD! I won't lie to you.. Justinne was rather skeptical about what all the fuss that comes with the name of "Yabu" was all about. Why? because she doesn't believe that something as plain as Katsu could be as magical as what what she has read on the net. "It's just fried breaded pork.. I don't get what's so great about it! ", she declared. 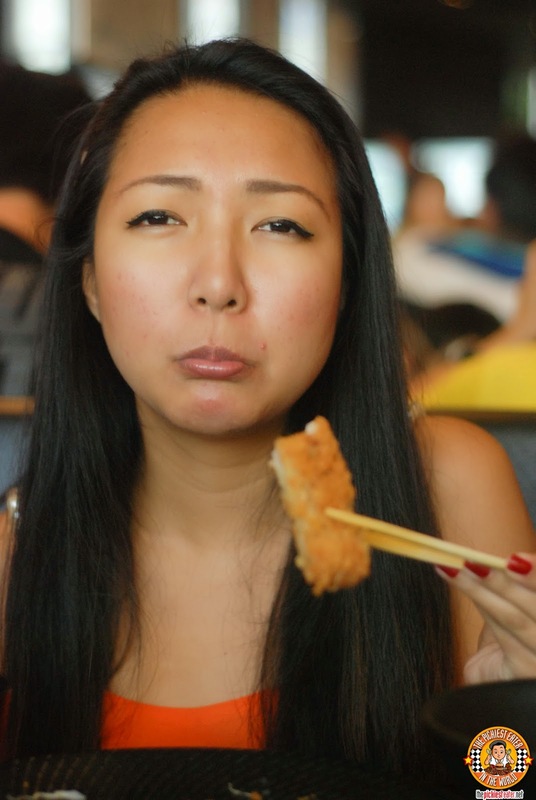 Justinne explained that she actually tried one of those big name Katsu places, and was not impressed. Coincidentally, the one she tried, also happens to be the same one that failed to satisfy my Katsu standards as well... To the point that I decided not to write about it any more, for lack of good things to say (I like to keep my blog fairly positive). I asked her to keep an open mind, and not let that debacle jade her. She asked me what was the difference between the crappy restaurant she tried and where we were going now. All I could say was, "This is Yabu.". I am a firm believer that the Yabu experience is a rite of passage for every food lover that visits Manila. Which is precisely why this was on the top of my list when I made the list of places that I wanted Justinne to visit. 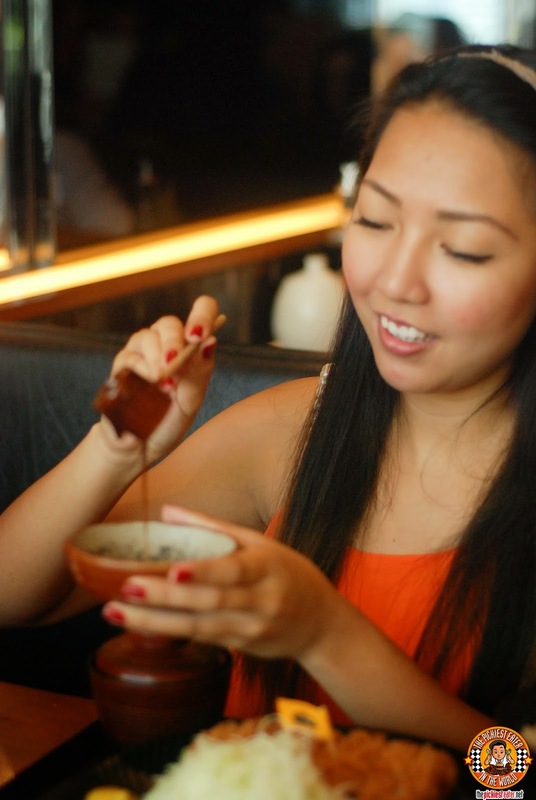 Justinne had fun doing the grinding of the seeds ritual as she made her Tonkatsu sauce.. A little preview of the awesomeness that was to come. A new inclusion to Yabu's appetizer list is the Kimuchi Tofu. 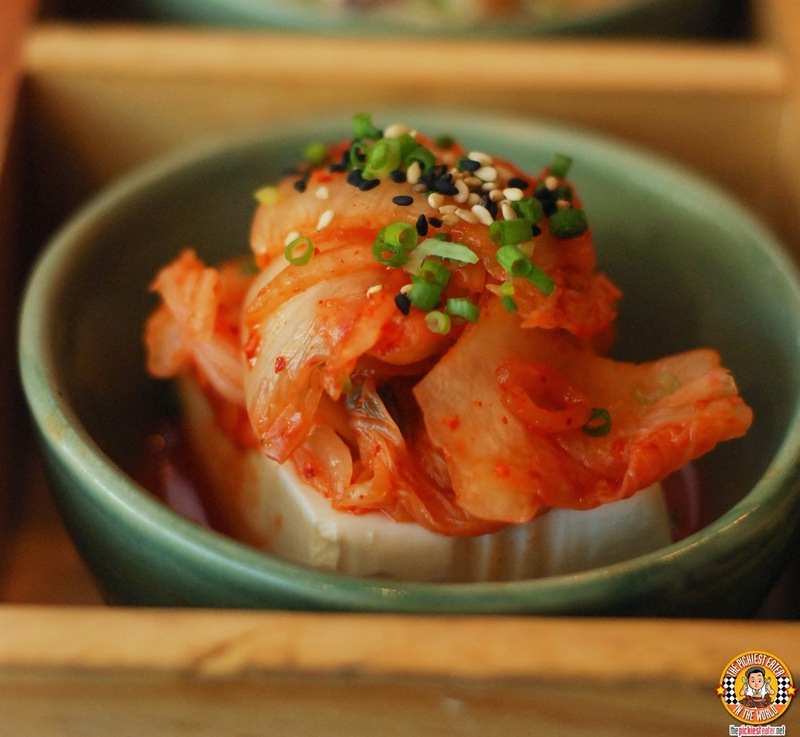 This was basically the Korean favorite dish, Kimchi, placed on top of a bed of soft Tofu. I don't eat either, but Justinne gave it a go and found it all right. I think she was saving her stomach space for the main event. 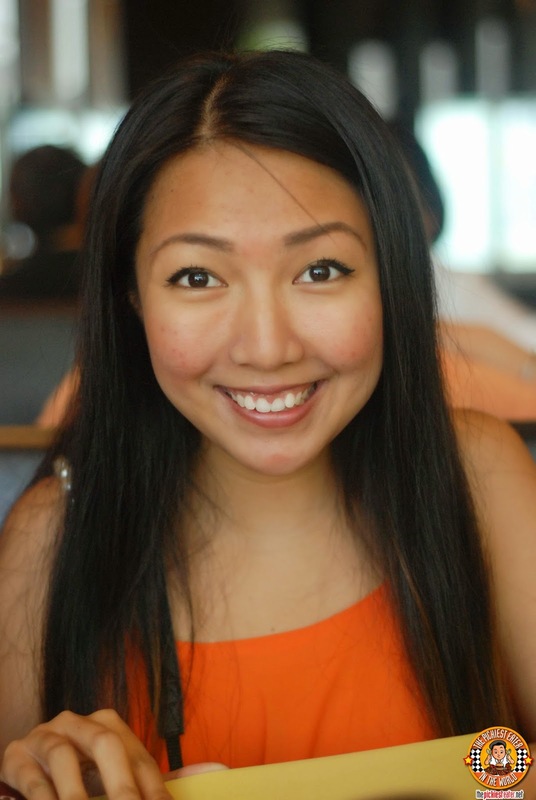 As I predicted, Justinne was completely blown away by her Korubota Katsu (Wait for her blog post at Babe For Food!). But to give her an even more extensive Yabu experience,I also decided to order the Menchi and Seafood Katsu set for her to try. The set consisted of Squid, Fish and Prawn Katsu, along side the Menchi Katsu that I love! Truly a great deal for P530! Speaking of which, I was there to try their newest Menchi Katsu.. The Tori Menchi Katsu! 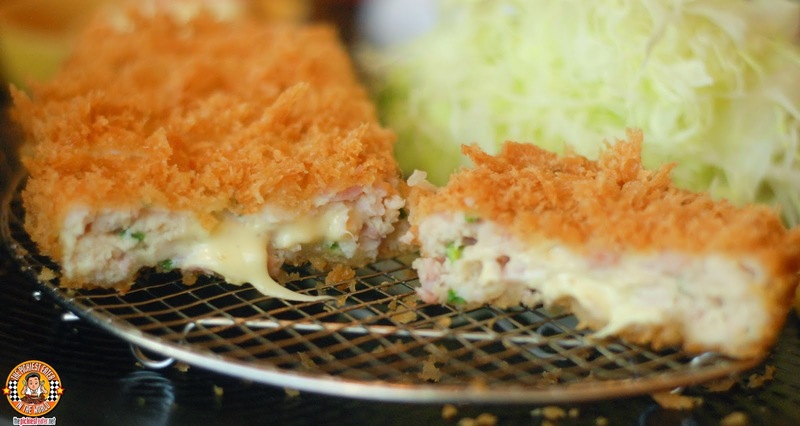 I've always been a fan of Chicken Cordon Bleu, and the Tori Menchi Katsu (P385) was exactly that, done the Yabu way. Delicious, creamy cheese gushed from the juciy chicken as I separated the pieces together, revealing the gorgeous chopped ham bits that were mixed inside. 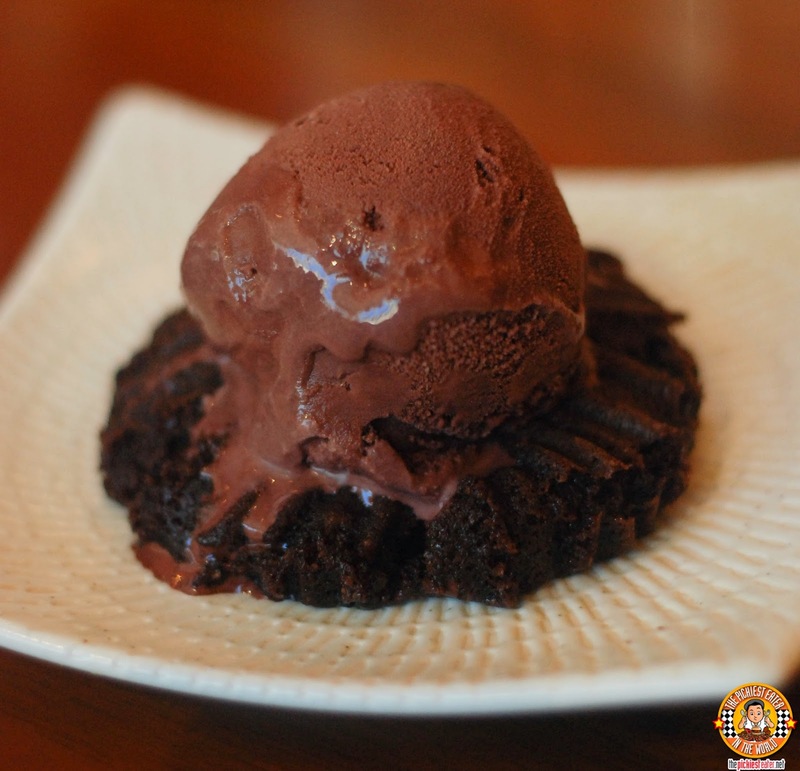 For Dessert, we tried Yabu's Chocolate Lava Cake, which I feel could use a bit of improvement. The cake itself was a tad dry and not much oozing going on with the chocolate inside, which is the whole crux of the name, "Lava". The Selecta Chocolate Ice Cream was good though. hehe. Funny story.. A few days later, Justinne had no problems saying good bye to me when she flew back to Cebu. However, when she was down to her last piece of Korubota Katsu, she was absolutely devastated. Yabu turned yet another naysayer into a believer once again! A million thanks to the lovely Denise and Erika, as well as Andrew of Yabu SM Aura (Who is lovely too, in his own special way hehe)! Richie naman! Of course I didn't want the trip to end! In fact, I was struggling to get out of bed to leave for the airport. Hahaha. Crowne Plaza's bed was amazing. Nahihiya na nga ako sayo because you pampered me too much! I didn't deserve any of it pa nmn. But thank you thank you THANK YOU SO SO MUCH for giving me the best Manila food trip ever! It was like a dream I wish I never woke up from. 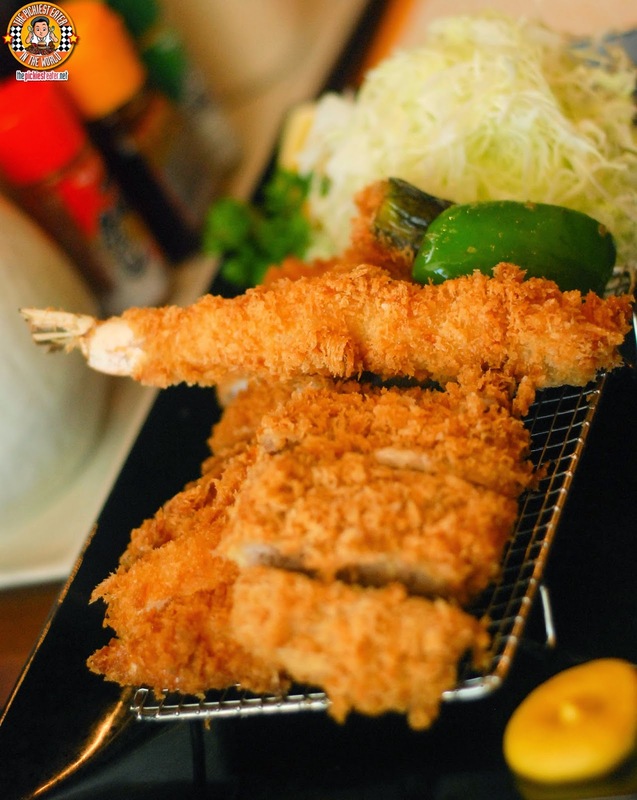 You opened my taste buds to the revelation of THE Yabu katsu and now I blame you for getting me addicted to it! I wish I could go back to Manila asap just for it! Oh, and for you of course. Hehehe. It's not Yabu without "u"! It'll only be Yab. Hehehehe.